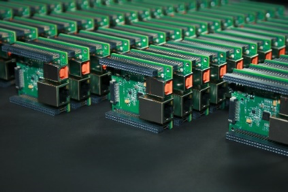 RPA has taken a modular, scalable approach to developing and producing solutions for our customers that require embedded computing platforms and systems. We have developed a series of Core processing and I/O modules, each programmable to allow rapid tailoring to solve unique problems. We use this approach in our own products and in customer unique solutions to save time and cost of both development and production. Our Core modules often incorporate multiple communication options. 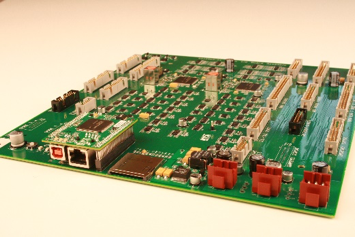 Our 1st generation FPGA based FIO (Flexible I/O) board line contains a PCI bridge, FIFO and FPGA. 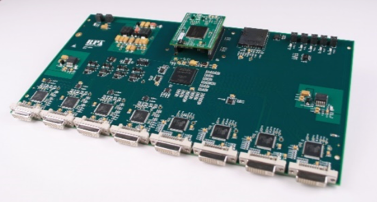 Using a language such as VHDL to program, the FPGA allows our customers to easily add pre and post processing algorithms to their I/O systems. The 2nd generation USB 2.0 FIO card is the data link to an onboard Renesas RX series microcontroller and FPGA (Cyclone or Stratix) combination. The card supports daughterboard designs using connections from the FPGA and μP for easy custom daughterboard integration. We can also support other legacy serial data links (RS-232, RS-485, etc.) if needed. 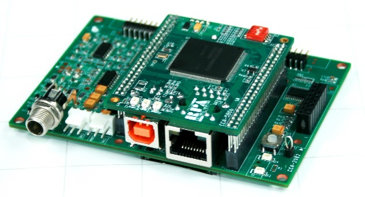 The RxCore module provides a Renesas microcontroller, USB and Ethernet, and expansion ports for connection to the microcontroller I/O. 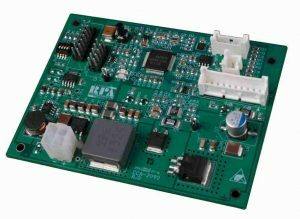 RPA has created software for the module that allows us to quickly adapt the circuit card to user’s applications and operate the device as a web appliance. We have in house tools that provide the structure for both user control of the device and connected application specific hardware as well as diagnostic utilities which allow us to implement fault isolating software that can be accessed using a web browser. RPA has used the RxCore in many customer solutions to save development time and production cost, taking advantage of volume production of this component of the end product. 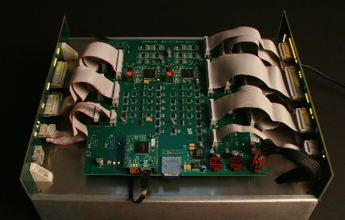 Details of the module can be found in the RX Core datasheet. 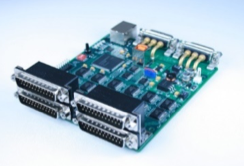 RPA has valuable experience with many different types of I/O ranging from high power low frequency I/O to high speed LVDS / high resolution video data streams. Recent requests have directed us to develop a series of LED lighting control modules which can drive high power strings of LED arrays. Software control of LED emission over a wide range of operating conditions and modular expansion to support multiple LED strings are key elements of the designs, providing precision control of LED illumination. Modules can be easily tailored to provide support for various supply voltages, LED string configurations, and user control requirements. Contact us to see how we can provide a solution to meet your needs. RPA has earned the status of a Renesas Alliance Platinum partner by providing expertise with Renesas hardware and software products and using this to create cost effective solutions for our customers. We are also a mobile Renesas Certified Training Center, which allows us to enable our customers to take advantage of these products with effective training throughout our region of the US. Renesas distributors and sales representatives can set up a training event in their regions as requested, to provide local availability throughout the northeastern US. We have the expertise necessary to develop embedded hardware and software solutions to solve your most demanding technical challenges. Our employees have over 100 years of combined experience in real-time signal processing systems (hardware, firmware, and software) design and development. We have designed systems for medical use (low voltage dental camera controller) and have recent experience with FAA DO-254 certification of FPGA firmware. We can support your custom needs for whatever market you may require.